Like many genius entrepreneurs (or science fiction heroes), Tesla (NASDAQ:TSLA) CEO Elon Musk likes to play by his own rules. So long as he succeeds for Tesla stock holders, he can. After getting a $20 million fine and being stripped of his chairman title by the Securities and Exchange Commission (SEC), Musk this week launched a series of tweets calling the SEC the “Shortseller Enrichment Commission” and saying, again, that short-selling should be illegal. He may not know, or may not care, that a judge could toss out the agreement he just signed, or that said judge is now demanding a letter from both sides on why the deal is in the public interest, delivered within a week. 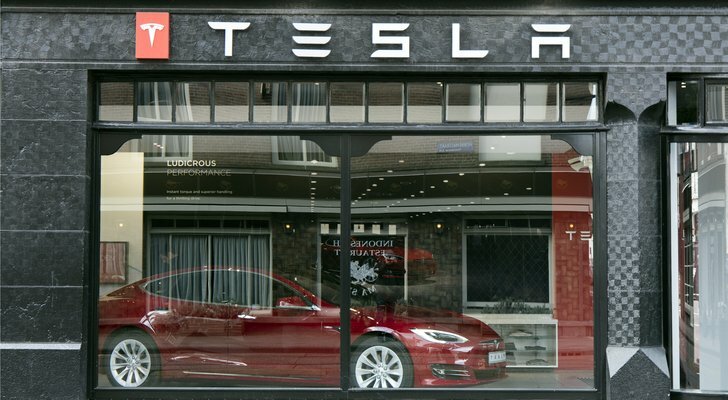 What matters to shareholders is that Tesla is still in its nip-and-tuck race with General Motors (NYSE:GM) for the title of the most valuable U.S. car company. As trade opened Oct. 5 Tesla was slightly behind, at $48.08 billion, against GM’s $48.32 billion, but the two have been equally bad investments over the last year, both down 20% from a year ago. Their market caps are virtually identical even though GM earned $2.4 billion in the last quarter on revenues of $36.7 billion, while Tesla has never made money, nor one-third of that quarterly revenue number, for a full year. Tesla next reports earnings on Halloween and analysts are expecting another fright, a loss of $1.77 per share on revenue of $5.76 billion. One thing that keeps Tesla stock afloat is growth. The expected revenue figure is nearly 50% higher than the last quarter’s record of $4 billion. Growth means the stock is up 43% over the past two years, and those who bet on Tesla stock when its sales were just $3 billion for the full year, in 2014, are sitting on fat capital gains. He’s also getting around the trade war with plans to make cars in Shanghai. What really keeps Tesla stock flying is Elon Musk himself. Most legal experts think the SEC would have ordered another CEO in his position fired, because his tweet a few months ago, claiming he would take the company private at $420 per share, was a flat-out lie that cost investors billions of dollars. Companies with Tesla’s short interest, estimated at 35 million shares on a float of 170 million shares last month, are going to be controversial. Shorts see there’s nothing holding up the Tesla stock price and borrow shares betting it will fall. Those loans, in turn, help keep the stock price high, to maximize the pain and “squeeze” on the borrowers. Short-sellers see what Musk did as a form of theft, and regulators agreed, but if Tesla were valued by the same metrics as GM, which is worth barely one-third its 2017 sales, the market cap would be $4 billion, not $48 billion. Since investors pay an “Elon Musk premium” for TSLA, firing Musk would be theft from those who, like billionaire Ron Baron, are long on the stock. Musk’s success in building an attractive electric car whose price starts at $35,000 (about what the Chevy Bolt is listed at) has also transformed the industry. Every car company is now racing to catch up with Tesla, both in electric technology and in self-driving. But GM is further along than most. It’s beating Tesla in self-driving technology, signing a deal with Honda for global deployment of self-driving cars, and jumping into car sharing. I own shares in Ford Motor (NYSE:F), having bought them for the dividend, but it’s a decision I now regret. Of all the car companies in the world, if I had to pick one to own right now, it would be GM. Musk needs to get back to work. Dana Blankenhorn is a financial and technology journalist. He is the author of a new mystery thriller, The Reluctant Detective Finds Her Family, available now at the Amazon Kindle store. Write him at [email protected] or follow him on Twitter at @danablankenhorn. As of this writing, he owned shares in F.
Article printed from InvestorPlace Media, https://investorplace.com/2018/10/another-musk-tweet-sends-tesla-stock-reeling/.